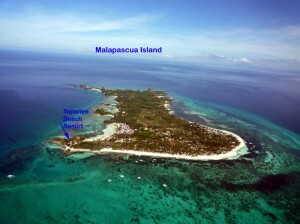 Malapascua is within the area of ocean with the highest concentration of biodiversity in the world. Snorkelers and skin divers (freedivers) may find interesting ideas in the bay in front of our small private beach. About 550 meters away is the rock Dakit Dakit, one of the favorites for the sighting of barracudas, tropical fishes of all colors, soft and hard corals: you can go swimming along the reef or take a boat ride to visit the Coral Garden and other points of interest. Malapascua has become justly famous for diving Monad, a shoal in the blue depth of 20 meters: this is the only site in the world where you can see thresher sharks almost daily. The dive sites are actually a lot of show and offer just as beautiful and unique: the mandarin fishes that perform their mating dance every evening at sunset at the Lighthouse; the island of Gato, marine reserve and sanctuary for the sea snakes, famous for pygmy seahorses, whitetip sharks, nudibranchs and big cuttlefish; Lapus Lapus, where you see the frog fish, hiding among the colorful corals; Ka Osting, a muck dive that’s easy and fun, where we go in search of the blue-ringed octopus; and the island of Calanggaman, which is an uninhabited tropical paradise on the surface but hides underwater walls rich in marine life. These are just a few examples; every day in Malapascua we are discovering new dive sites with interesting and new species. 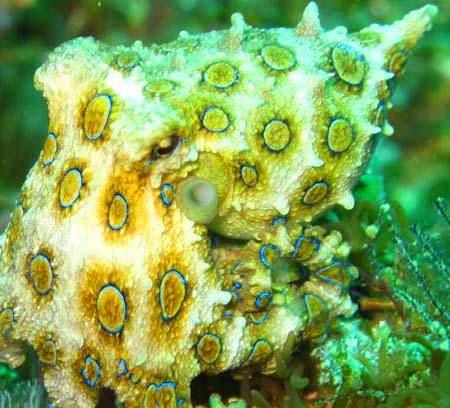 Malapascua is a true paradise for scuba divers! During your stay you will have direct assistance with everything concerning scuba dives and diving courses, which can be easily booked through us.